The Bedlington Terrier is a curious looking dog, somewhat resembling a lamb. The breed was developed in the 13th Century to hunt vermin and as such are incredibly agile and fast. They make excellent companions and watch dogs, always keeping themselves involved in the family. 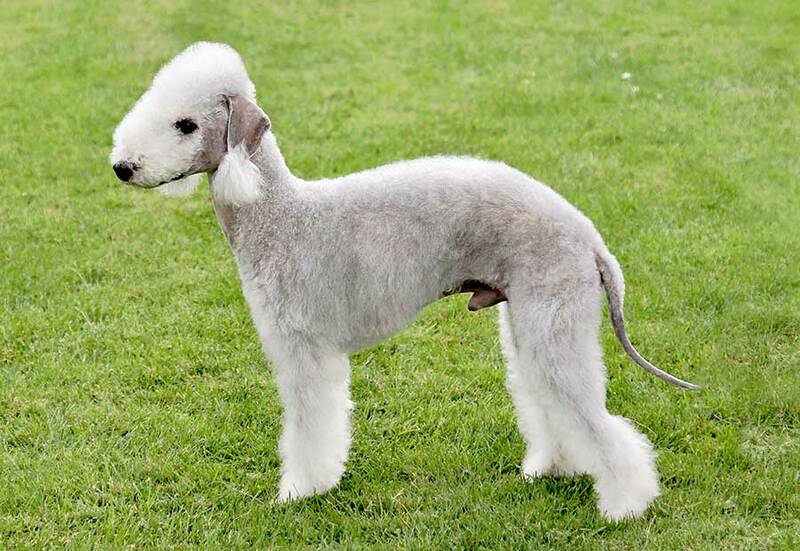 Bedlington Terriers are described as good-tempered and affectionate in the Breed Standard. Their Terrier instincts remain strong and as such care should be taken when letting them off the lead, although careful socialization can blunt this instinct. They are known to be gentle and affectionate with their owners and children and make excellent pets. They require a consistent, positive training regime to bring out the best elements of their characters as they possess a strong personality and any negative traits will be reinforced by poor socialization. Socialization must include contact with other animals and a variety of people from an early age.